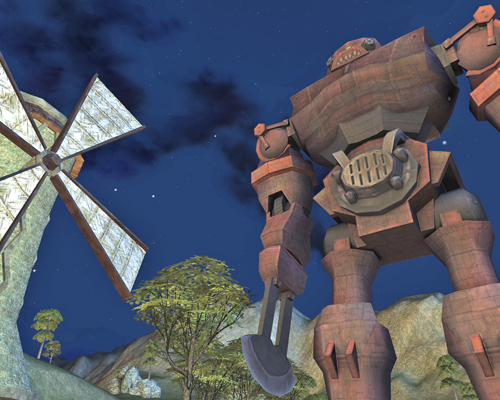 Welcome to EverQuest Secrets of Faydwer, the 14th expansion for EverQuest! Rediscover Faydwer a you defend Norrath against acts of vengeance from enemies old and new. The clockwork armies of the evil necromancer Meldrath the Malignant gather in the Steamfont Mountains, ready to overrun the kingdom of Ak'Anon. Nearby, Bloodmoon Keep is now home to soul eating wereorcs. All the while, an ancient menace stirs east of the Dragonscale Hills, where the prismatic dragon Kerafyrm the Awakened plans his revenge. 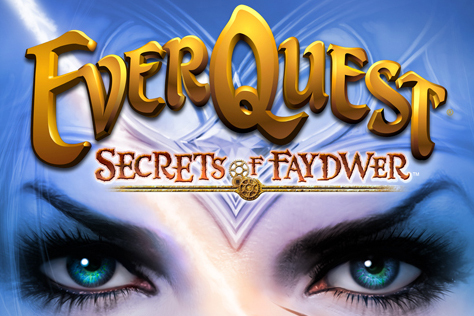 Welcome to EverQuest Secrets of Faydwer, the 14th expansion for EverQuest! The Book of Legends, a tome that holds the record of those who have come together to celebrate EverQuest at the SOE Fan Faires, now lives in the library within Plane of Knowledge. While some of the other issues that were resolved in this update were reported via bug reports, here are a few we'd like to highlight. Summary: When you face west the video geometry disappears except the UI and the Sky. When you face another direction the issue goes away. Normally this is only fixed by doing a reboot of your PC or reloading EQ. Summary: Some people have reported that the Solteris raid zone continuously crashes during raids. Status: Optimizations have been put in place to improve stability. We will continue to monitor the status of this zone and other instanced zones.